We love packing our bicycles up and heading out on adventures. A packed bike is a bicycle with a story to tell. Depending on the style of riding you are doing and the amount of capacity you’ll need, we have a large range of options. For road touring, a bike rack and pannier setup is a good place to start. 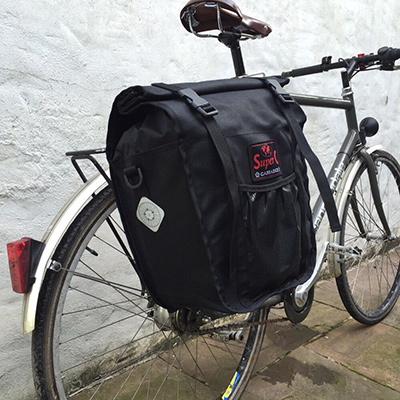 For mountain bike adventures, bikepacking bags are a great way to go. And when extra capacity is needed a touring trailer is a great solution. The wilderness beckons. Grab your bike and go! When you're geared up to go, the world is your oyster. We provide the bags, you provide the go! Between a bicycle and gear laden bicycle bags, a converging presence must reside. Strong yet light, resilient and adaptable. A good bicycle rack brings the goods together.